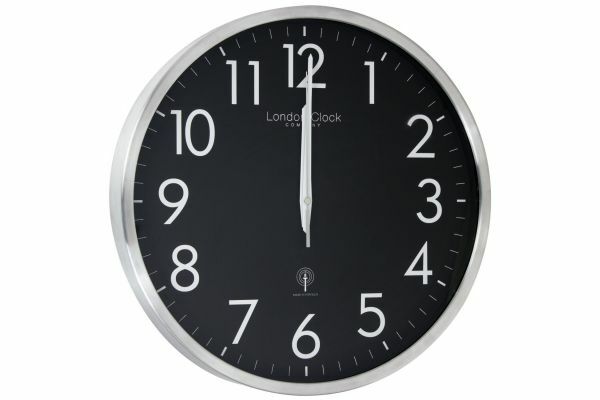 A modern black and brushed metal wall clock with a clear Arabic dial. Has a radio control feature. Made by the British brand London clock co.